Kenosha County’s economic development projects helped to propel the local economy in 2018 and are expected to boost it to robust proportions this year. 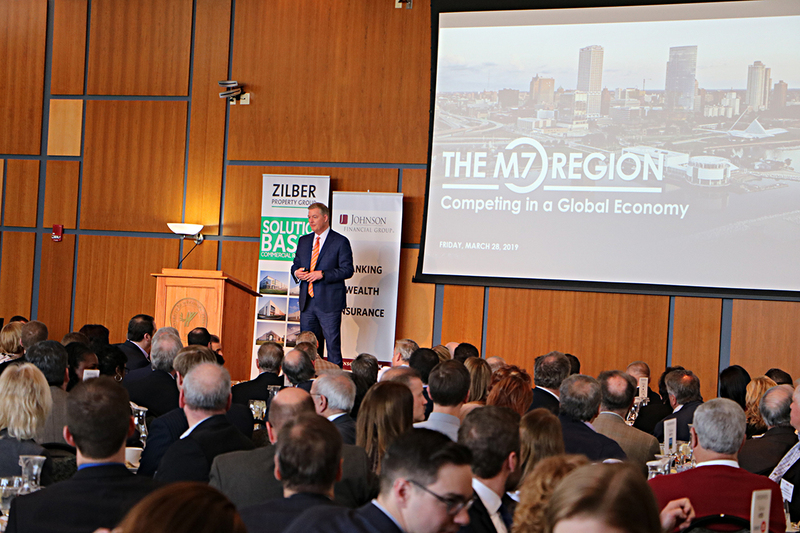 Kenosha Area Business Alliance president Todd Battle told an audience of more than 350 gathered Friday at the University of Wisconsin-Parkside ballroom for KABA’s annual meeting that the economy remains strong as more companies have relocated and others have expanded this past year. He noted the economic development growth since 2013 has helped to create 11,000 jobs, $1.5 billion in capital investment and more than 11.6 million square feet of development.